Kestrel Timber Frame are a qualified design and structural engineering consultancy practice who ensure that virtually any architectural interpretation can be achieved in timber frame. Our team offer initial design feasibility and value engineering services from concept through to final design to minimise overall build cost and promote efficient site assembly. We use the latest 3D BIM (Building Information Modelling) technology software for designing timber frames. 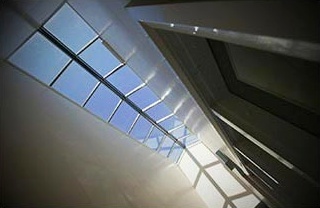 Latest software such as Consultec Framer, hsbCAD and MiTek WoodEngine are used. The experience of our design team allows us to be able to provide professional advice on materials and products to suit individual design solutions. We not only offer solutions for eco-homes, off-site manufactured products and modern methods of construction, but we are also continually looking to develop our design and manufacturing services to achieve all round product efficiency in terms of both ecology and price. From its manufacturing base in Market Deeping, Kestrel Timber Frame manufactures all aspects of the timber frame kit. 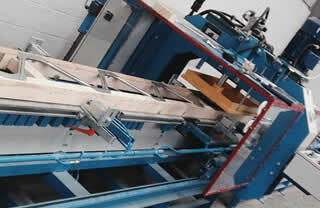 With a direct link to the timber engineering office, they can automatically process timber “take off” lists direct to its automated saw for accurate cutting and fast, efficient assembly. Kestrel Timber Frame’s skilled team construct the components that make up the kit for your project. Working from CAD drawings, the team manufactures the timber frame system to the highest standards. In the last five years the construction community has become answerable to the “Zero Carbon” challenge. No longer can we build homes and commercial buildings that consume vast about amounts of carbon in their construction but equally we can no longer afford to build poorly constructed homes and buildings that do not optimise thermal efficiency. For these reasons alone timber frame is the fastest growing method of construction in the UK. It is widely adopted in social and private housing and accounts for about 75% of the self-build market. Timber frame is singularly the most sustainable form of construction available to us in the UK and without question, delivers the most thermally efficient, cost effective and safe method of construction. It is no surprise that the first homes reaching Code levels 5 and 6 were timber frame buildings. Timber frame is a perfect fit with the low carbon agenda and more and more architects appreciate its benefits; finding it much easier to achieve very high insulation levels, fewer defects and increased air tightness, all with extremely low embodied energy. 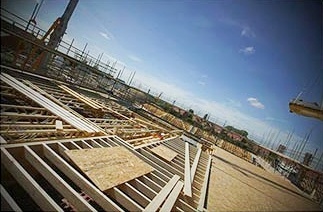 Timber frame has the lowest embodied CO2 of any commercially available building material, while delivering up to a 33% reduction in energy consumption for large detached houses and up to 20% for apartments. By selecting timber frame, a faster construction time is guaranteed, whilst the costs of achieving higher code levels dramatically reduced.